The TTA codon, one of the six available codons for the amino acid leucine, is the rarest codon among the high GC genomes of Actinobacteria including Frankia. This codon has been implicated in various regulatory mechanisms involving secondary metabolism and morphological development. 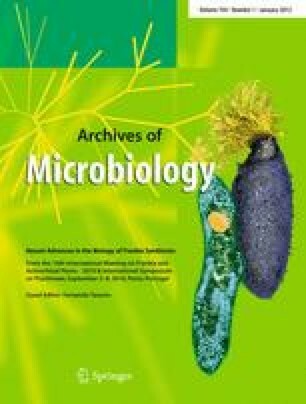 TTA-mediated gene regulation is well documented in Streptomyces coelicolor, but that role has not been investigated in other Actinobacteria including Frankia. Among the various Actinomycetes with a GC content of more than 70%, Frankia genomes had the highest percentages of TTA-containing genes ranging from 5.2 to 10.68% of the genome. In contrast, TTA-bearing genes comprised 1.7, 3.4 and 4.1% of the Streptomyces coelicolor, S. avermitilis and Nocardia farcinia genomes, respectively. We analyzed their functional role, evolutionary significance, horizontal acquisition and the codon-anticodon interaction. The TTA-bearing genes were found to be well represented in metabolic genes involved in amino acid transport and secondary metabolism. A reciprocal Blast search reveal that many of the TTA-bearing genes have orthologs in the other Frankia genomes, and some of these orthologous genes also have a TTA codon in them. The gene expression level of TTA-containing genes was estimated by the use of the codon adaption index (CAI), and the CAI values were found to have a positive correlation with the GC3 (GC content at the 3rd codon position). A full-atomic 3D model of the leucine tRNA recognizing the TTA (UUA) codon was generated and utilized for in silico docking to determine binding affinity in codon-anticodon interaction. We found a proficient codon-anticodon interaction for this codon which is perhaps why so many genes hold on to this rare codon without compromising their translational efficiency. The online version of this article (doi: 10.1007/s00203-011-0731-8) contains supplementary material, which is available to authorized users. The authors are grateful to the Department of Biotechnology, Government of India, for providing financial help in setting up Bioinformatics Centre, in the Department of Botany, University of North Bengal. A Sen acknowledges the receipt of Department of Biotechnology, Overseas Associateship. ST would like to thanks University Grant Commission for providing the UGC-BSR Research Fellowship.